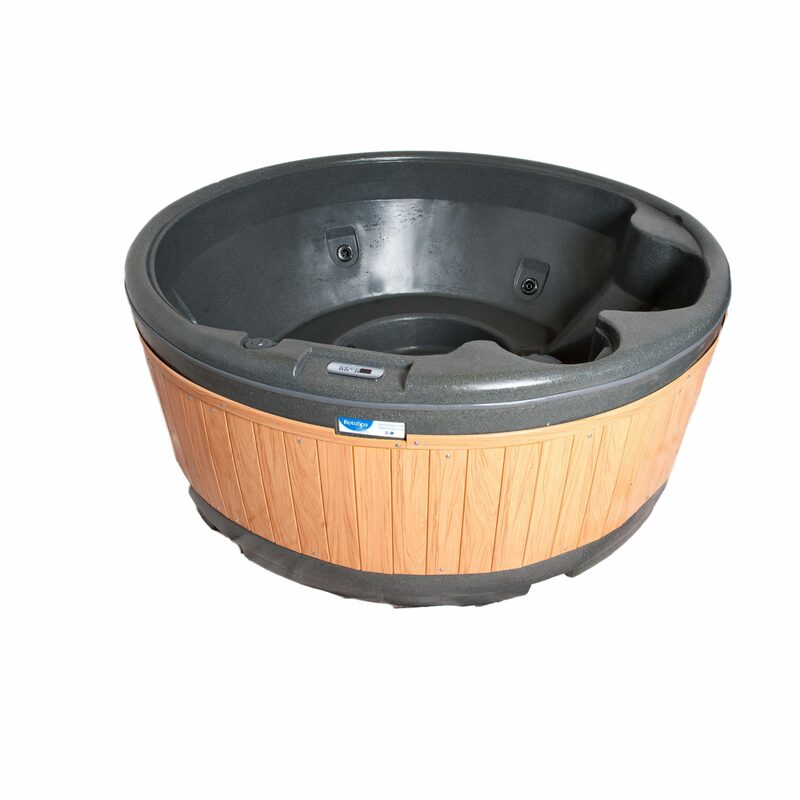 We are the longest established and largest supplier of top of the range solid hot tubs for hire in the North West. Our 8 seater hot tub is £219 from Thursday until Monday which is the minimum hire period and a weeks hire is £269. There may be a small delivery charge so contact us for a quote. As our hot tubs are solid in construction and too heavy to lift over obstacles we roll them into place on their side and we require a minimum of 80cm width access and just over 2 metres height clearance. For your peace of mind, we have full public liability insurance in place. We use specialised equipment and cleaning agents to sanitize our tubs after each and every hire. Our hot tubs add a touch of luxury for that really special party. Our quality hot tubs are perfect for birthdays old and young, romantic weekends, barbeques, stag and hen parties, anniversaries, Christmas and New Year. Be the life and soul of a party to remember with our 8 seater. We offer only the very highest quality rigid portable hot tubs which are quick to heat and retain their temperature whilst the powerful hydrotherapy jets are on. Our 5 and 8 seater hot tub is equipped with a true four-season heater that keeps your spa hot even on the coldest of winter days. Don’t be fooled by cheaper alternatives – this hot tub is vastly superior to an inflatable or other poor quality imitation. We are often asked “What’s the difference between your tubs and the “budget” tubs that are available for hire?” Budget tubs are the inflatable, spa in a box and Haliburton Spa. The Spa in a box and Haliburton Spa although having rigid sides still work the same way as an inflatable. The air blown into these tubs is at ambient air temperature, in other words, if it is zero degrees outside then it is blowing zero degrees into the tub! Because of this with the air blower on the tubs will only remain comfortable for 10-15 minutes. 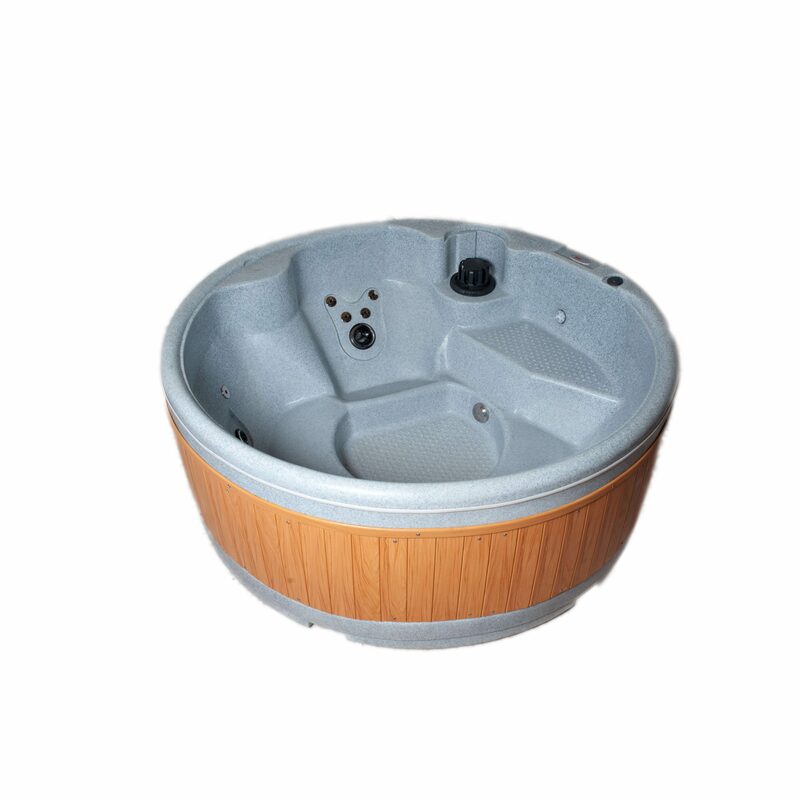 Our 5 and 8 seater hot tubs are solid in construction with very high insulation and have far more powerful pumps and heaters. The much bigger pumps mean that the water is better circulated and stays a lot cleaner. The pump powers a number or hydro-therapy jets and each of these jets have air drawn into it through internal pipes to the control panel. This drawn air does not cool the water anything like as much as the budget types, meaning that in winter conditions the hot tub will remain comfortably warm for a good 3 hours with the jets on and in summer months the temperature remains warm all day. Extension lead with weatherproof connections. Heavy Duty Gazebo available on request £20 charge applies or £40 to include 4 sides. Access width of 80cms and height clearance of 2 metres. Photo ID and utility bill. Please note that the tub takes up to 24 hours to heat to full temperature. We deliver our luxury five and eight seater hot tubs throughout the North West covering all parts of Liverpool and Manchester. We also cover Lancashire and Cheshire along with Merseyside and the Wirral. Individual towns in the above areas – Accrington, Altrincham, Ashton, Atherton, Birkenhead, Blackburn, Blackpool, Bolton, Bootle, Bury, Burnley, Chester, Chorley, Crosby, Ellesmere Port, Macclesfield, Northwich, Oldham, Prescot, Preston, Prestwich, Radcliffe, Ramsbottom, Rawtenstall, Rochdale, Romiley, Runcorn, Sale, Salford, Southport, Stalybridge, St Helens, Stockport, Stretford, Swinton, Tameside, Urmston, Walkden, Wallasey, Warrington, Whitefield, Widnes, Wigan, Wilmslow.